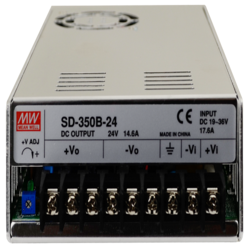 Meanwell DC-DC converter Exporter, distributor, importer, dealer, trader of Meanwell products in India,other product like SMPS, LED Drivers, DC-DC Converters,DC power supply, switch mode power supply, LED smps,LED power supply, for all over India. Meanwell distributor in India is Sree Dhanam Automation Pvt Ltd, Chennai, Tamilnadu. Our major customers are presented in all over India. 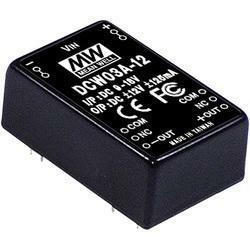 Meanwell dc-dc converter We are covering the following cities like meanwell Chennai, Madurai,DC-DC Convertor Coimbatore, Pondicherry, Meanwell Bangalore, Hubli, Hyderabad, Vizag, Meanwell smps Mumbai, Biwadi, Meanwell DC-DC Converter Delhi, Pune,DC-DC convertor Noida, Haryana, Faridabad, Smps Ghaziabad, Gujarat, Baddi, Indore, Surat,led smps Ahmedabad, Vadodara, Vapi, Dc-dc convertor Maharashtra, Kolkata, Westbengal, Udaipur, Jaipur, Punjab, Silvassa, Ludhiana, Kashmir, Goa, Meanwell India, Jharkhand, Odisha, Andhrapradesh, Uttarpradesh, Ludhiana etc. Under the strict supervision of our experienced professionals, we are offering an innovative collection of DC to DC Converter. It had been used in some critical applications were DC voltage is the only source. Our offered converter is available in a variety of sizes, dimensions and other such specifications to choose from. The offered converter is precisely designed at our vendor’s highly advanced manufacturing unit following industry defined guidelines. The offered converter can also be availed from us at the industry leading prices. Price May Vary As Per Application/Specification and Quantity. We put forward a broad range of SD Series Converters that are manufactured in adherence with the set industry standards using advanced technology and optimum quality raw material. Our offered converters are credited for their high performance and durability. Considering variegated demands of our respected clients, we offer these converters in various sizes and other related specifications at market leading rates.